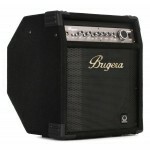 Huge on portable power, the Bugera BXD15A bass combo amp rocks 1,000 watts of high-efficiency Class .. 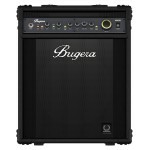 The BXD12A from BUGERA is a fully stage-ready powerhouse, delivering an incredible 1,000 Watts throu.. 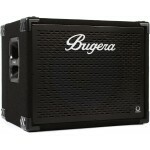 Huge on portable power, the Bugera BXD12 bass combo amp rocks 1,000 watts of high-efficiency Class D.. 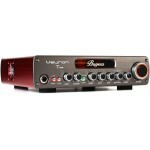 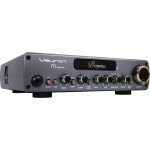 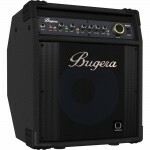 Huge on power, the Bugera Veyron T BV1001T bass head rocks a whopping 2000 watts while keeping the w.. 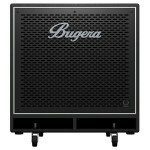 Huge on power, the Bugera Veyron M BV1001M bass head rocks a whopping 2000 watts while keeping the w..
Once you hear the Bugera BT210TS bass speaker cabinet, you'll never want to play through anything el..
Once you hear the Bugera BT115TS bass speaker cabinet, you'll never want to play through anything el..
Bugera's BN410TS bass speaker cabinet provides the power you need to rule the bass world. 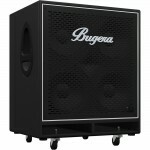 2800 watts..
Bugera's BN115TS bass speaker cabinet provides the power you need to rule the bass world. 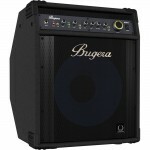 2000-watts.. 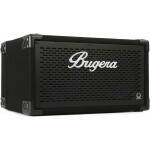 Huge on portable power, the Bugera BXD15 bass combo amp rocks 1,000 watts of high-efficiency Class D..